Well our holiday got off to a rocky start to say the least, on our second day here we ended up in the back of an ambulance with a very poorly little terror. What started out back home in England as just a little blotchy patch on his arm, it slowly got bigger and then spread on to his other arm, which was closely followed be a rise in his temperature. With the temperature of Turkey and the fact that the blotches went when pushed on with a glass we quickly assumed his grumpiness was down to the heat and traveling. After a very difficult morning and an extremely lethargic terror we realised something wasn’t right and as soon as we decided to take him to the local doctor it was like his entire body went limp in my arms. He wasn’t his usual self, no chattering, no running off, and surprisingly he was doing as he was told. We got to the doctors and they took his temperature, 39.3 he could barely keep his poor little eyes open even after a two hour nap less than 45 minutes before! 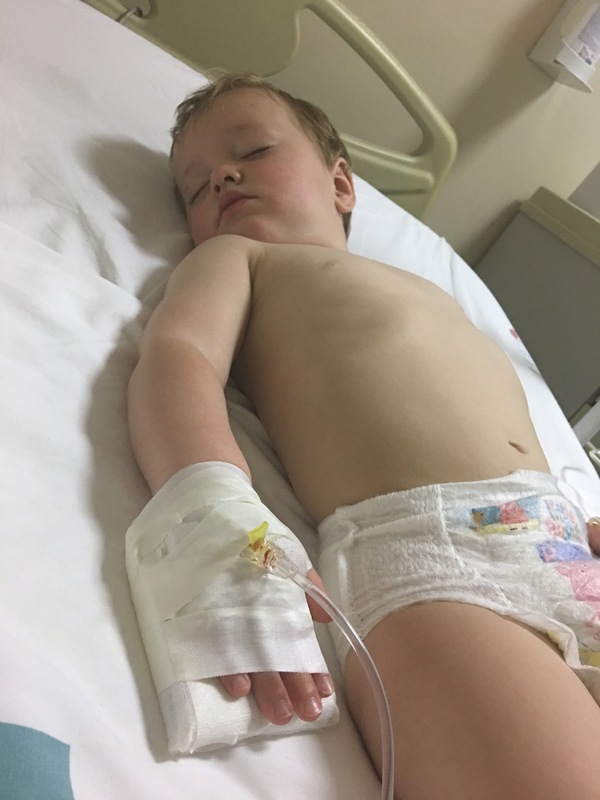 So they got us straight in to an ambulance and on our way to Fethiye Hospital, he laid perfectly still the entire rocky journey not saying a word, mum and I were both terrified especially after hearing that back home there had been confirmed cases of viral meningitis spreading. We arrived at fethiye hospital and they were incredible, I’ve written before about the NHS and how great they are but over here they really were phenomenal. Brutal but phenomenal. Quickly they had a plan in place and within 3 minutes of us arriving they had nurses gathered around him getting a canular fitted, no numbing cream no pre warning. It was horrendous seeing my baby screaming, upset, pinned down and confused but knowing it’s what needs to be done your torn between doing what’s best and wanting to take all the discomfort and pain away and tell them all to stop. Bloods were taken and we were moved to our own bed within the hour, something that never happens in England! He was placed on a drip and we had the blood results back within 30 minutes, after a check over it was confirmed that he had a virus with a throat (his breath was mank, even I could have figured that one out) and ear infection. All on our first full day of holiday. We were given 3 lots of medication, a mixture of antibiotics and ibuprofen and as soon as his drip was done we were on our way back to the hotel. Luckily I had travel insurance something I was very dubious about taking out as I just didn’t see the point! Now I totally do and would never travel without it. The excess of our insurance was £150 but the bill we could have received could of been over quadruple that amount! We are so thankful that we were seen to and treated so quickly, the little terror is on the mend and back to his troublesome self, in time to enjoy our holiday! Any advice I could give anyone. Always take out travel insurance, you never know what might happen!